Motown's Dynamic Duo went Deep on Wednesday night to help the Tigers avoid being swept. 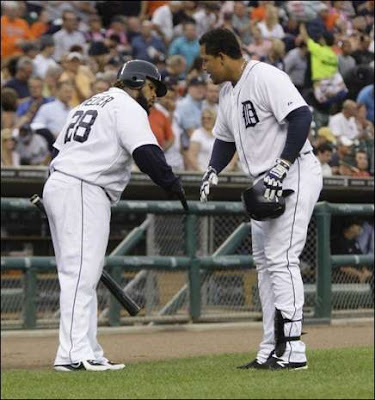 Miggy & Prince cranked 'taters to lead the Tigers to a 7-1 win against the Tribe. Facebook has become tiresome, lame, mundane - just a forum for the narcissistic. So, I spend as little time there as possible. However, this morning, I actually found some pretty cool stuff courtesy of Detroit's Numero Uno morning radio program - Dave & Chuck "The Freak"